The Sand Hill School Classroom teacher possesses a passion for teaching children who learn differently and team-teaches a class of about 12 students with learning, attention and social challenges. The Classroom teacher is responsible for designing a personalized program for each student that leads to increased student outcomes and a successful transition to a more typical classroom. The Classroom teacher collaborates effectively with their teaching partner in the classroom to deliver instruction, assess and track student progress, and effectively communicate with parents. Ensure all students meet or exceed expected growth. Work with teaching partner to develop instruction and monitor student progress. Communicate effectively & frequently with parents. Effectively team and collaborate with all professionals. Communicate and plan with teaching partner. Genuinely enjoy being with students. Make the classroom a joyful place. Be expert in working with students who struggle with learning, attention and social challenges. Know the best intervention to use given the situation. Be explicit with student expectations and boundaries. Know when and how to intervene to ensure positive results. Model exemplary classroom management skills. Deliver instruction that is developmentally appropriate, direct & explicit, multisensory, appropriately paced, structured & systematic. Regularly monitor and track student learning. Use technology to support learning, instruction and productivity. Seek out opportunities to grow professionally. Reporting to the President/CEO, and a member of the senior management team, the Director of Education will directly supervise Assistant Principals, the Mental Health Director, and the IEP Coordinator. The Director of Education will have proven leadership abilities who will provide strong management, work collaboratively with school staff and senior leaders of other areas of the organization. In our new strategic plan the Board and management have endorsed a path that will create a Non-Public School (NPS) that will be a Center for Excellence in serving children with emotional, learning and developmental disorders. Vista Del Mar is committed to providing the necessary resources for an outstanding education for children who have mostly experienced failure in school. Although Vista Del Mar is clear that children with delays deserve to have an excellent educational experience, the Director of Education is empowered to design and implement their vision of innovative and high quality special education. The Director responsibilities will include the fiscal management of the school and will work with the CEO and Finance department to ensure fiscal sustainability. The Director of Education is responsible for the school’s compliance with all state and city education requirements, assures all school accreditations are maintained, manages and negotiates contracts with school districts, and oversees Vista School grants. Medical, dental, vision, life insurance, up to 13 paid holidays plus 2 floating days, 403(b) and more! The Equity Project (TEP) Charter School (www.tepcharter.org) is seeking a Head Curriculum Developer for TEP's middle school literacy curriculum. This individual will be responsible for refining, expanding, and shaping TEP's existing materials into a unified, vertically-aligned 5th through 8th grade curricular sequence that enables students to meet and exceed the Common Core Literacy Standards. While the initial focus will be on the reading and writing curriculum within English Language Arts classes, it will also include the literacy-based elements of TEP's Social Studies and Science curricula. In addition to refining TEP's existing internal curricular resources, this individual will be responsible for selecting and integrating external curricular materials/programs as well as developing new materials as needed. This individual will work directly with TEP's Principal and literacy teachers. The Lead Literacy Curriculum Developer receives an annual salary of $100K. Benefits include medical, dental, and vision coverage, a 403b retirement plan, and approximately 8 weeks of vacation per year. Your cover letter must detail your specific experience and expertise with respect to the '3 key requirements' listed above. Applications submitted without a cover letter will NOT be considered. The Equity Project Charter School is now hiring for Special Education Teaching position. Immediate hire! The Equity Project Charter School is a 5th through 8th grade middle school serving low-income students in the Washington Heights neighborhood of New York City. TEP Charter School is designed and structured around the belief that teachers are the key personnel in achieving educational success for its students. Immediately to fulfill maternity leave absence with potential for permanent position. The Equity Project Charter School is now hiring for Music Teaching position. Immediate hire! The Equity Project Charter School is a 5th through 8th grade middle school serving low-income students in the Washington Heights neighborhood of New York City. TEP Charter School is designed and structured around the belief that teachers are the key personnel in achieving educational success for its students. Immediately to fulfill sabbatical leave with potential for permanent position. The Equity Project Charter School is now hiring for English Language Arts Teaching position. Immediate hire! The Equity Project Charter School is a 5th through 8th grade middle school serving low-income students in the Washington Heights neighborhood of New York City. TEP Charter School is designed and structured around the belief that teachers are the key personnel in achieving educational success for its students. The Equity Project Charter School is now hiring for a Social Studies/History Teaching position. Immediate hire! The Equity Project Charter School is a 5th through 8th grade middle school serving low-income students in the Washington Heights neighborhood of New York City. TEP Charter School is designed and structured around the belief that teachers are the key personnel in achieving educational success for its students. Start Date: Immediately to fulfill maternity leave absence with potential for permanent position. 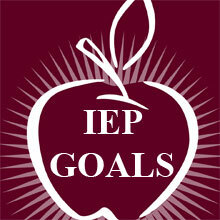 Utilize assessment results in developing IEP goals. Identify and utilize special materials and teaching strategies pertinent to individual student and staff needs. Provide appropriate actives and opportunities to enhance the studentâ€™s development of a positive self-concept. Periodically, no less than annually update academic assessments and review progress. Experienced early childhood special educator (SPED) who is preferably a BCBA or a BCaBAs needed to work full time with a 3 year old child with an Autism Spectrum Disorder at home and in his nursery in Jeddah, Saudi Arabia. 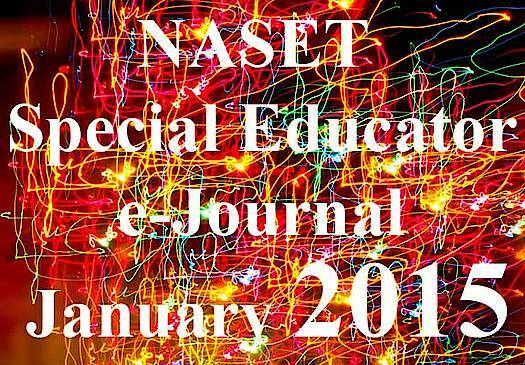 The SPED must be proficient in evidence-based practices used with young children with ASD and able to address the child's needs across all developmental domains in multiple settings. The SPED should have at least three years experience working collaboratively within an interdisciplinary team. The SPED will be responsible for co-developing and implementing the IEP and will work along side an Occupational Therapist, Speech Therapist and Nursery team. The SPED will develop lesson plans, be responsible for the implementation of the behavior support plan, will collect data and communicate with the family and team. Two year renewable contract. Excellent salary, housing benefits, medical insurance and transportation costs are included in employment package. Please send your Resume and cover letter to Dr. Donia Fahim, the hiring consultant via email to ecspedt@gmail.com.